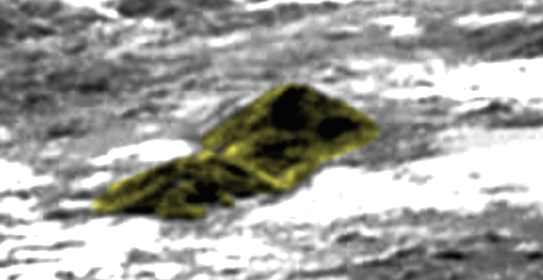 UFO SIGHTINGS DAILY: Alien Structures On Plutos Surface Show Age As They Sink Below The Ice, Oct 2015, UFO Sighting News. 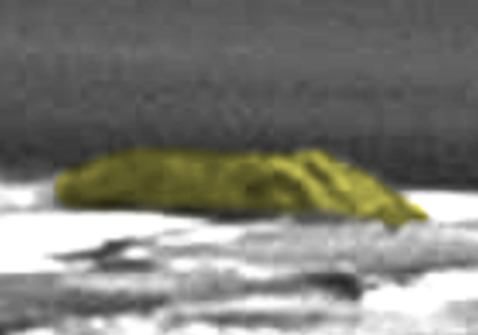 Alien Structures On Plutos Surface Show Age As They Sink Below The Ice, Oct 2015, UFO Sighting News. 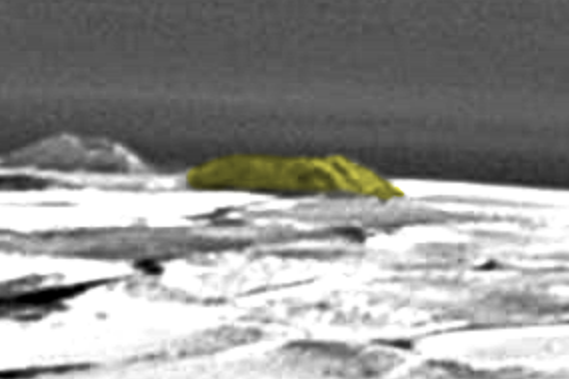 While looking over a recent Pluto photo I found some structures on the surface. These structures are non-reflective black. 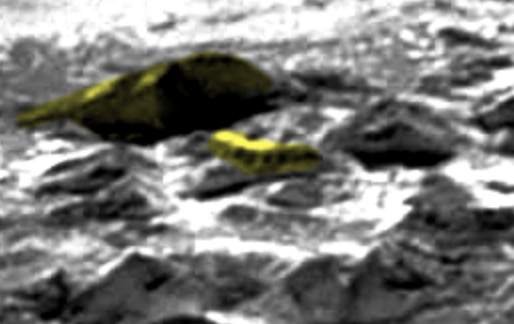 The photo above shows long two or more long finger tunnels coming up into the buildings side. Below, you see two black pyramid structures tied together with tunnels. 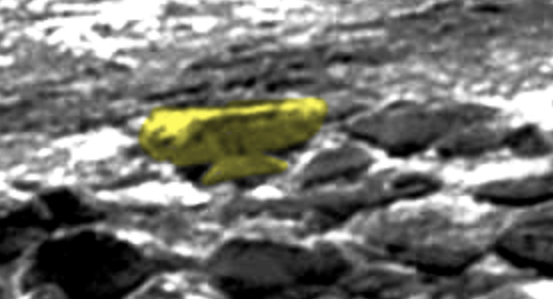 I tried to color it yellow to make it sound out easier, but I included the original untouched near it to allow you to compare. Below, you will see a close up photo of a structure with a support arm coming out and keeping it balanced on the surface of Pluto. 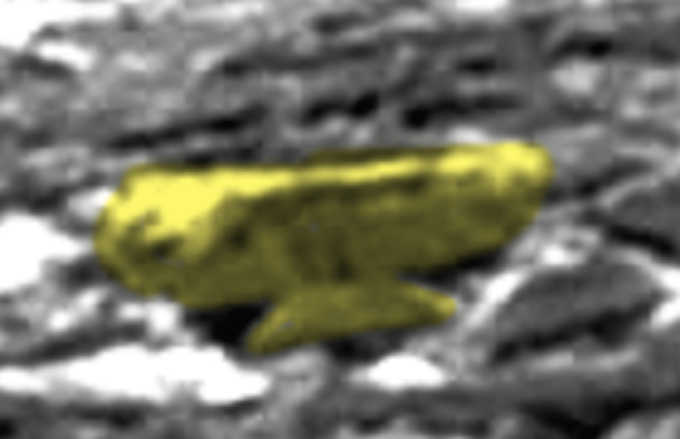 Below you see some windows along a ridge, and a massively large black structure in the shape of a ark. 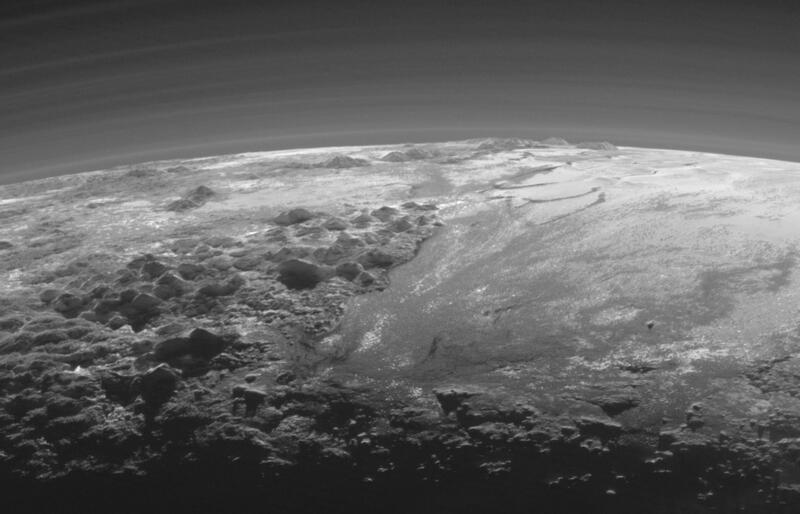 The ark is so heavy and old, it has been sinking below the Pluto ice surface and is 50% buried below the surface. This tells us these structures are very old and abandoned.